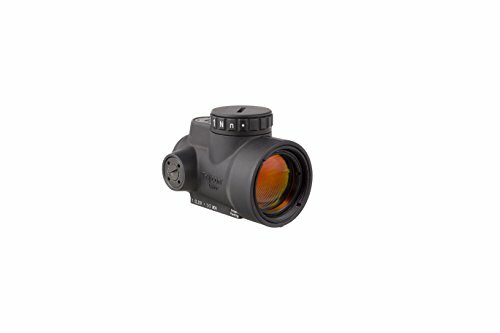 The Trijicon mro (miniature rifle optic) is a sealed miniature reflex sight intended for use on rifles, carbines and Shotguns to provide fast target acquisition. The large aperture and tapered light path maximizes the wing area and allows for better situational awareness and fast target engagement, especially from non-standard shooting positions. Combine all this with the ambidextrous brightness controls, sub-flush adjusters, advanced lens coatings and the fully sealed, waterproof, hard anodized forged 7075-T6 housing and you have the ultimate Mini reflex sight on the market. Store: cmd_keen189 Condition: Brand New Price: $429.00 Total Price: $429.00 Buy It from cmd_keen189 No returns. Last updated: April 20, 2019 at 11:31 EST. Pricing information is provided by the listed merchants. GoSale.com is not responsible for the accuracy of pricing information, product information or the images provided. Product prices and availability is subject to change. Any price and availability information displayed on amazon.com or other merchants at the time of purchase will apply to the purchase of the product. As always, be sure to visit the merchant's site to review and verify product information, price, and shipping costs. GoSale.com is not responsible for the content and opinions contained in customer submitted reviews.